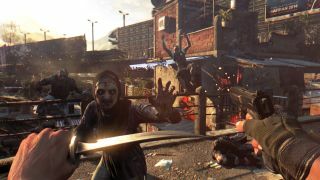 Dying Light releases later this month, promising to sate everyone's innate desire to bludgeon the undead back to death with improvised weapons. While there's been a fair amount of gameplay footage circulated for the open world title (some courtesy of our own Tyler Wilde) Techland has released a long 90 minute video with commentary. The video originally aired on Twitch late last year, but the embed above is the complete archived version. The Oculus Rift supporting title will release January 27 in America and January 28 in Europe and Australia.